RANGELY I Rangely District Hospital serves northwest Colorado and strives for excellence by providing quality care to patients. A 25-bed critical access hospital and Level IV Trauma Center, Rangely District Hospital was founded in 1947. 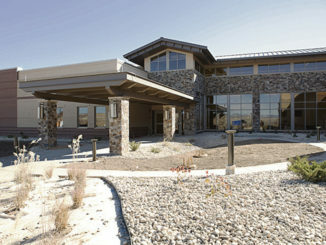 The Colorado Rural Health Center chose to feature Rangely District Hospital because the hospital is engaged in a variety of programs. Rangely District Hospital offers a variety of services including, emergency room, in-patient care, out-patient care, a clinic, laboratory services, occupational health, respiratory therapy, physical therapy, radiological services, home health, pharmacy, long-term care, procedure center, ambulance and assisted living. The town of Rangely was a 1940s boom town. Today, the oil field continues to produce about one third of Colorado’s production and provides jobs for approximately 300 individuals. As a member-based association, CRHC offers a variety of services, programs and technical assistance to its members. 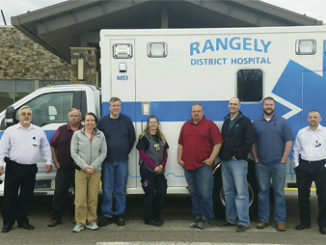 Rangely District Hospital utilized many of these resources, including participation in the Improving Communications and Readmissions (iCARE) program, healthy clinic assessments, the small hospital improvement program grant, the CREATE program and numerous training and educational events. Niki Hyde, CRHC’s quality improvement specialist, works closely with the Rangely Family Medicine Clinic. RANGELY I Rangely District Hospital is proud to announce the arrival of MS1, a state of the art Advanced Life Support Ambulance. MS1 is larger and more advanced than any other ambulance in Rangely’s history. Rangely District Hospital will host an open house in the new hospital Friday, Dec. 14, giving tours of the new facility starting at 11 a.m. 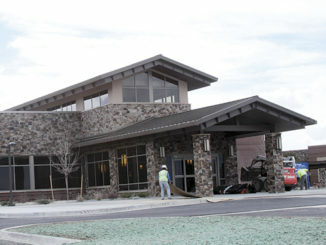 The new hospital is expected to open Jan. 7, 2013.